A rubber 3"/75mm Concave-Bow boat roller with a 17mm bore. A rubber 8"/200mm Concave-Bow boat roller with a 20mm bore. A rubber 4.5" Cotton Reel boat roller with a 17mm bore and nylon bush. A rubber 8"/200mm Cotton Reel boat roller with a 17mm bore. 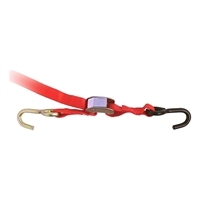 Bolt on or weld on jockey wheel clamp suitable for most standard jockey wheels. Rectangle cup universal flusher, engine attachment for flushing outboards with clean, fresh water. Round cup universal flusher, engine attachment for flushing outboards with clean, fresh water. A rubber Parallel/Bilge boat roller. Galvanised flat U-Bracket for boat trailer rollers. Solid rubber Oar Stops with Lugs.